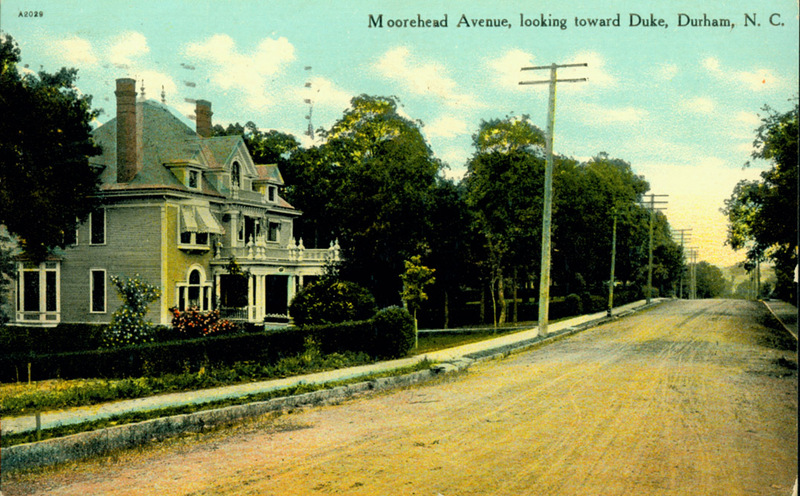 The Alphonsus Cobb House was located at 506 Morehead Avenue. He came to Durham from Hickory, NC and resided at the Carrolina Hotel where his brother Howell was proprietor. Alphonsus Cobb became manager at the hotel in 1902 and by 1905 he was proprietor. In 1911-12 he worked at the Corcoran Hotel. By 1915 he resided at 714 (now 814) Vickers Avenue and was secretary-treasurer of Durham Realty & Insurance Company and Durham Loan & Trust. As vice-president of Durham Realty & Insurance and West End Land Company in 1919 he moved to his new home at 806 Morehead. In 1925 he served as secretary-treasurer of the Durham Real Estate Board. 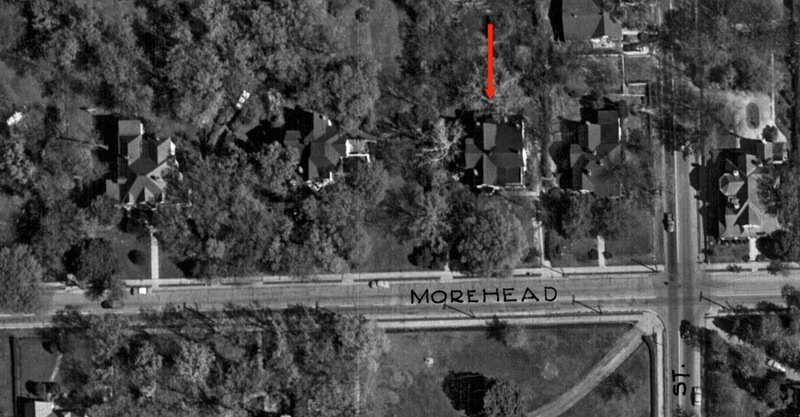 He died tragically in 1935, but his widow Nellie remained in the Morehead Avenue home until at least 1955. 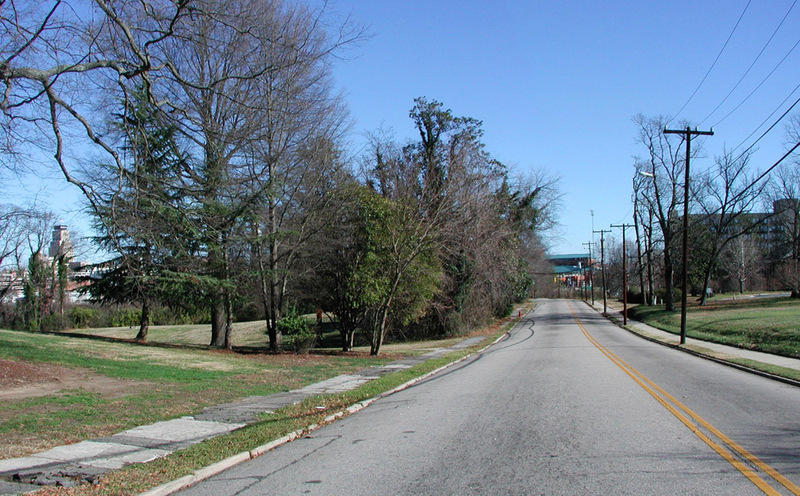 This houses were torn down - most by 1972; it appears that the lots were used for parking, probably overflow parking for Blue Cross Blue Shield. They now serve as overflow parking for Greystone next door. 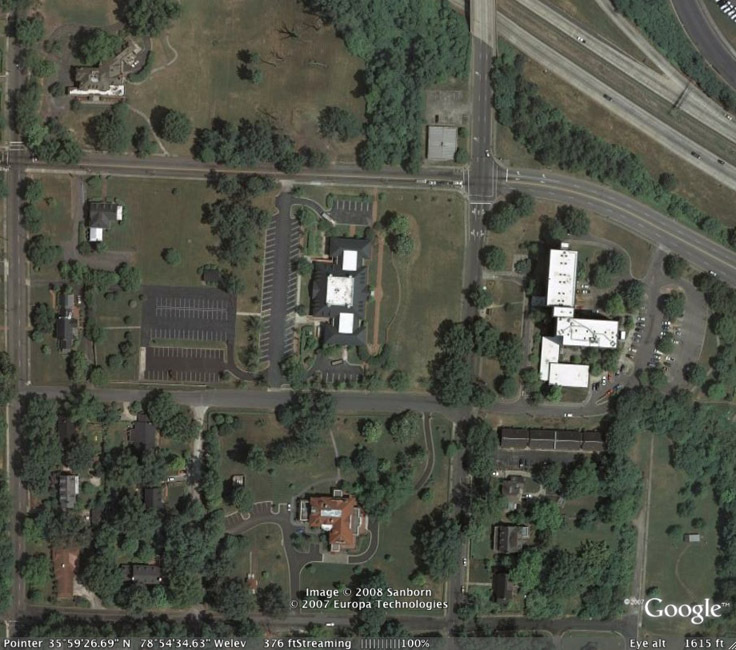 Aerial of the same area as 1959 in 2007.